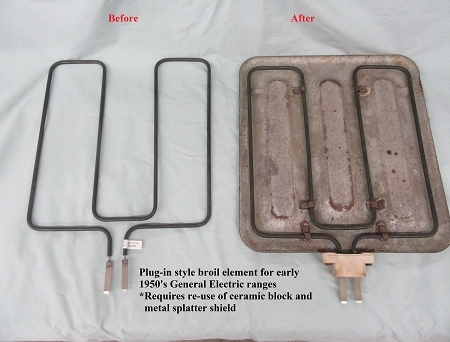 This oven broil element is a direct replacement for those used in GE/Hotpoint stoves from the late 1940's and the early 1950's that utilized a two flat prong, plug-in configuration and included a metal splatter shield. Use of this element will require you to "re-use" the original ceramic block terminal and the original metal splatter shield from your original element assembly. 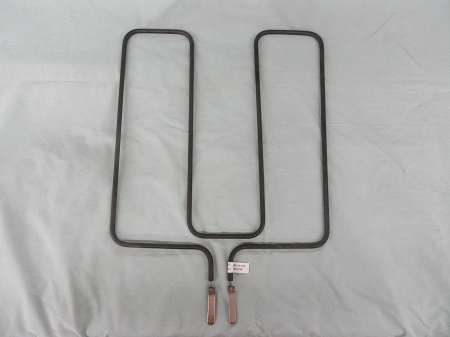 Note: This element is not for use on stoves from the 1920s and/or 1930s.